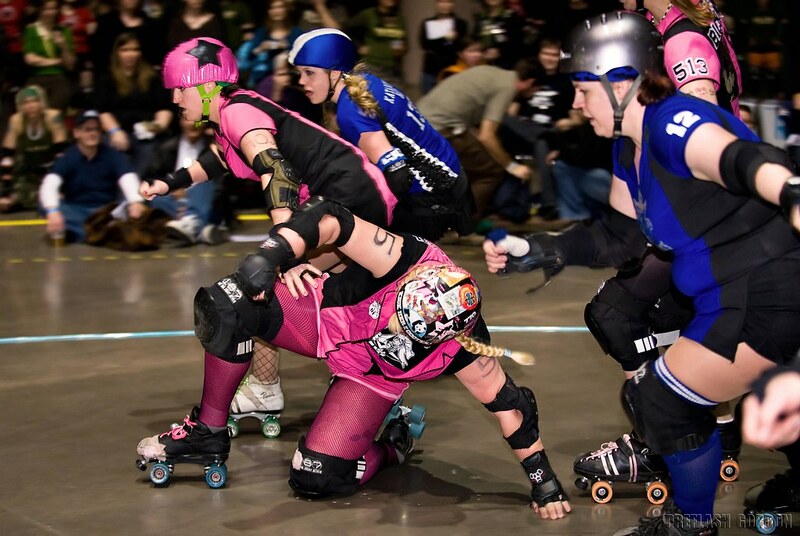 The photographer says: North Star Roller Girls league action from January 31, 2009. League website is here. Both bouts were very fast, punishing, with close scores. Excitement was so high that by the end of the night everyone - teams, fans and photographers - was all worn out!